Photo by Cheryl GossEvery year the Thoroughbred Breeders Association of South Africa salutes those that have achieved the ultimate acknowledgment: breeding a Group One winner. Summerhill Stud once again joined the throng at this year’s National Yearling Sale, and was honoured with two bronze statuettes. The awardees included BOLD ELLINORE, (don’t forget Mike Destombes here,) who was the national Champion Filly, and PICK SIX, who won the continent’s richest race, the Gomma Gomma Challenge (Gr1). Tale Of Ekati (Ed Betz)Yesterday’s winner of one of the Kentucky Derby’s most significant trials, TALE OF EKATI, must have known a thing or two. Summerhill has two progeny of the winner’s sire (TALE OF THE CAT,) to sell this afternoon. Lots 154 and 332 have attracted strong interest during the week and this result won’t hurt their chances. Prince Mdunjane with Lot 397 (Heather Morkel) There’s been plenty of talk in every conceivable form of press in the last few weeks about the state of the world’s economy, but last evening there were no thoughts of sub-prime, Zimbabwe or Jacob Zuma, as Africa’s biggest spenders took on their foreign counterparts in the bullring at the TBA sales complex in Germiston. And did the fur fly! Records were smashed as the average soared by 21%, fuelled by unprecedented international investment on the back of the big weekend in Dubai. A year ago the first million Rand horse made headlines, yet last evening there were no fewer than 26 who broke this barrier, including two at R3 million. The average of R960,000 was 21% up on last year’s figure (R731,000), with the 76 Lots sold posting an aggregate of exactly R73 million. Big buyers on the night included Scotsman Dr Jim Hay (for Herman Brown Jnr), His Highness Sheikh Mohammed (for Mike de Kock), Australian Paul Guy (for Heritage Bloodstock), while the old stalwarts, America’s Team Valor, Markus Jooste (for Charles Laird) and Chris van Niekerk (for Sean Tarry) were hard at it again. Though they’ve been attending the South African sales for many years, England’s Blandford Bloodstock (Tom Goff) and Allan Bloodlines (David Allan), made the biggest splash of all in securing the two top billers at R3 million a piece. The second one, a Western Winter filly, was a classic, as the nation’s First Lady of racing, Bridget Oppenheimer, went hammer and tongs with the continent’s biggest coal miner, Graham Beck (Tom Goff in the seat). 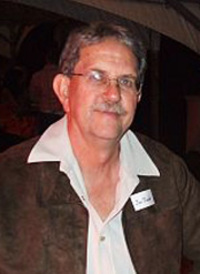 At a critical point (R3 million), Mrs Oppenheimer’s cell phone connection with Charles Laird failed, and unable to reconnect, Charles Laird had to give way. Among local trainers, Weiho Marwing, Joey Ramsden, Eric Sands and Mike Bass were in full stride along with the big ”bloodstockers”, John Freeman and Jehan Malherbe of Form Bloodstock. Though it’s a rest day today, and we have some excitement ahead with a great programme of Group One racing. Going to post for the farm in two of the Group One races are no fewer than six graduates of the Summerhill paddocks, with IMBONGI looking to go one better after his Gauteng Guineas victory in the R1.2 million S A Classic (a tough test from the outside draw,) and all of EMPEROR NAPOLEON, PICK SIX, CATMANDU, DYNAMITE MIKE and FORK LIGHTENING looking to shut the door in a remarkable entry of five of the thirteen contestants for the R1.2 million Horse Chestnut Stakes. Tomorrow UMNGAZI and THE BIG ASK are among the favourites for the Byerley Turk (Gr3) at Scottsville, while CLEOME and HOT RECEPTION will hopefully be keeping the judges busy in the Umzimkhulu Stakes (G3) and the KwaZulu Natal (Listed) Stakes, respectively. We’ll be updating you with the outcomes tomorrow morning. David Allan (freeracer)The 90-strong Select Session that heralded the start of the 2008 Emperor’s Palace National Yearling Sale at Gosforth Park last night yielded a breathtaking aggregate of R73 million, a 26% increase on the record figure of 2007. A strong international representation contributed significantly to the remarkably increased average of R960 526, a hike of 31,3% on last year’s record average. Interestingly both the joint highest bids were knocked down on fillies. Lot 63, Romanesque, by Royal Academy from Egerszegi (Danehill), fetched R3 million along with Lot 90, an unnamed daughter of Western Winter and the prolific mare Mystic Spring. Blandford Bloodstock, on behalf of Graham Beck, acquired the unnamed daughter of Mystic Spring, consigned by Cheveley Stud. Form Bloodstock bought five yearlings for Sheikh Mohammed bin Khalifa Al Maktoum of Dubai, including Lot 21, Mesquite, a colt by Fort Wood from Slew’s Review, consigned by Wilgerbosdrift Stud, for R2.6 million. All will go into training with Mike de Kock. Trainer Herman Brown, representing Dubai-based Dr James Hay, purchased five yearlings including Lot 53, Point Of Honour, a half-sister to Pointing North by Jallad. “The results were amazing and well above expectations,’’ said BloodStock SA Chief Executive Jan Naude. GOSFORTH PARK is attracting heavy traffic! The National Yearling Sale at Gosforth Park is attracting a lot of international interest and many of these visitors will be trying to outbid each other when the “Select” session of the sale starts this evening. The warm autumn weather brought people out in droves, and Summerhill has had its fair share of visitors - among them a lot of old friends and some new faces who were viewing some of the horses on offer. Everything that could be said about South Africa’s big night in Dubai has been said, at least from a racing perspective. But South Africans need to reflect for a moment. This wasn’t just about winning a few big races on another arbitrary big day. When the reality sets in, we’ll begin to realize that South Africa took home the laurels in 50% of the races on what has become one of the world’s biggest three days in racing, and on arguably the best publicized day in all of our sport. Yet, the enormity of it all goes much further than that. The civilized world has always thought of this country as a pretty little spot (not without its complications, we should add) at the southernmost tip of the world’s darkest continent. Our racing has never really been looked upon by the outside community as anything more than an aberration in the country’s sporting firmament, and like Australia of ten to fifteen years ago, nobody ever really took our racing too seriously. The truth is, on three prior occasions, South African trained horses have won at least 33% of the races on World Cup night, so this “fifty percenter” was not quite as unexpected to some of us as one might have thought, and was certainly no fluke. Not if you look at the way our horses won, and certainly not if you’re sincere in your appreciation of history. Of course those of us who’ve been closely associated with the professionals that promote the game at home, have probably always had an inkling of how good our people are, without ever quite believing it. After all, the most sought-after jockey’s title in the world, (and we speak of Hong Kong, where most of the top journeymen of that profession have, at some stage or another, plied their trade,) has been in South African hands for something of the order of 17 of the past 18 or 19 seasons – did you hear that, or did you think you were dreaming?! And since Mike de Kock, now a folk hero in the class of any victorious World Cup rugby captain, had the “balls” as the Aussies would call it, to test his skills against the world, he’s made the most emphatic statement about our trainers even an optimist of his calibre, could ever have hoped to. The fact is, Mike de Kock is an astonishingly capable man, not only as a horseman, but as a visionary, as an entrepreneur, as a man-manager and a risk-taker. And when it comes to “grey matter”, he’s up there with the intellectual colossi, too, though when it gets down to boxing, he’s been known to come up “ring rusty” on occasions. Yet Mike de Kock would be the first to acknowledge that when it comes to horsemen, he’s far from isolated. In addition to his victorious compatriot, Herman Brown Jnr, our men and women at home and abroad include numbers of consummate talents in every avenue of equine endeavour, and we guess it’s appropriate to mention our breeders here, too. Those horses that represented us in Dubai on Saturday were, by and large, raised by some quality operators, none more so than Lionel Cohen, whose Sun Classique’s runaway in the Dubai Duty Free was as powerful a compliment to this remarkable man as you could imagine. And let’s not forget all the adversity which migrants face in their adopted countries, people like David Payne and Jeff Lloyd in Australia, who have once again reminded the world that this country is a front for serious professionals. Before closing, and since it’s appropriate on the eve of the nation’s biggest horse sale, perhaps we should ask ourselves how South African horses have managed to achieve their international competitiveness with such regularity. We know they’re well trained, and after Anton Marcus’ handling of Jay Peg on a slipping saddle on Saturday, we know they’re well ridden. But they’d be nothing at all if they weren’t, at the same time, well raised. South Africa’s breeding industry, for all the wealth of many of its players, has never had the market to justify the purchase of the best international genetics. As a result, we must console ourselves with the thought that when it comes to producing quality horses, we’ve had to get up a bit earlier. And that’s where our intimacy with the environment, the skills of our people and the “elbow grease” with our matings, has had to be different. We’ve had to be smarter, we’ve had to be more innovative and as important as any, we’ve had to put in different hours. It’s the only way we can remain competitive, and thankfully, South Africans have never been short on industry and commitment. For those that live in foreign climes and are possessed of the currencies that quickly convert into millions of Rands, this must now be the most attractive thoroughbred marketplace in the world. So I guess it would be appropriate to finish with a “salute” for Mike de Kock, His Highness Sheikh Mohammed bin Khalifa al Maktoum, Herman Brown, Basil Marcus, Mike Bass, Lionel Cohen, Etienne Braun, Selwyn Marcus, Marsh Shirtliff, Ascot Stud,Warne Rippon and RMG Syndicate for their courage and enterprise in highlighting the virtues of our horses and horsemen in such an extraordinary fashion. Mick GossQ : What is your name and age? A : My name is Mick Goss and I was born in 1950. Q : Tell us about your family? A : My wife is Cheryl, and I have three sons, Paul (a jet pilot), Chris (a farrier), and Nicholas (who does our promotional videos, DVD’s and some of the brochure work at Summerhill), and a daughter, Bronwyn (who is an occupational therapist). Q : Tell us a little about your family’s history in racing and when did you personally become interested in this wonderful sport? A : My family have been involved in racing since the 1930’s. My grandfather, Pat, started racing horses in Pondoland around that time, and founded his own stud, The Springs in East Griqualand at the same time. While there was no inheritance at Summerhill, his reverence for the sport and the disease that afflicts those of us that are closely connected with it, passed through my father to me, so here we are! When my father died (in 1977,) the sum of my inheritance was a one third share in a R900 horse which he left to my mother, my brother and me. I have forever been indebted to him. This horse, Heliotrope, won his second start, and that was that. However, my own fascination with the sport started when I was still being “potty” trained as a two year old, and I have to thank Ernie Duffield’s Duff’s Turf Guide for enthusing me with the love of the game. I grew up around horses, and while I was a lawyer in my first life, I knew that one day, somehow, I would own at least a piece of a mare, and that’s how it started. My involvement at Summerhill commenced in 1979, and at Hartford in 1989, when, standing at a urinal at the Summerveld Clubhouse with Steve Lappin (the Financial Director at Hartford at the time), we agreed to exchange my Hillcrest house for the farm, in the process of trying to sort out a dispute between the Turf Clubs and the trainers. Does that ring a bell?! 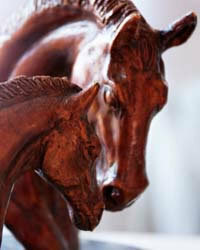 Q : Where is SUMMERHILL STUD FARM situated and give us a short history on the development of SUMMERHILL? A : As I’ve said, we got involved in Summerhill in 1979 when, as the lawyer representing the owners, I was party to arranging the syndication of the property among some friends. They didn’t want to pay any legal fees (an occupational hazard for lawyers) so I was left with 6.25% of the equity. It took us some years to get into full production (probably nine or ten), but we did have some early success with horses such as Versailles, who ran second to Devon Air in the July. 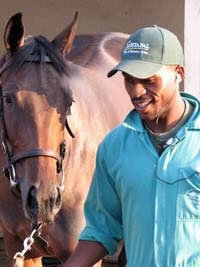 Since 1988, Summerhill has bred in excess of 100 national and provincial champions, which is probably a record for KZN. When we took over Hartford, we inherited an awesome responsibility. The Ellises were South Africa’s most successful owner-breeders of their era, and with the exception of the J&B Met, they had bred and raced the winners of every major race on the South African racing calendar. We made it our mission to try and win a Metropolitan before the close of the last century, and while it’s a privilege just to have a runner in a race of that sort, we did manage it twice with La Fabulous and Angus, though the latter was after the turn of the new millennium. The farms are situated, in the Hlatikulu valley, 12 kms outside of Mooi River on the Giants Castle side. We are lucky to live on some of the best agricultural land imaginable, and to have one of the finest climates in the world. We overcame the fear that many of our colleagues held for breeding horses in Natal, because of the generosity of the environment and the belief that it promoted orthopaedic issues, by harnessing its fantastic potential, and that’s been a key element in our success. In other words, we’ve used the virtues of nature to develop an authentic African racehorse, rather than trying to fight the riches of the environment by regulating the way our horses grow. I think several of our colleagues have come to the same belief now, and KZN breeding is on a much sounder footing. To explain the reasons for the excellence of the area in which we operate, the Drakensberg used to be where Hilton is now, but being relatively soft sandstone, over the millions of years it has eroded back to its current position where it rests on a basalt underlay, which has stablised it. It has left in its wake in the valleys around us a remarkable endowment of mineral richness, and that’s why you find some of the best beef in the world in our territory. We only had to realize this, and what it could do for our horses, to turn it into champion horse breeding country. Q : How many stallions do you now stand and who are they? A : All told there will be 14 stallions on the roster this year. They include Muhtafal, Kahal, Malhub, Solskjaer, Way West, Cataloochee, Stronghold, Mullins Bay and Hobb Alwahatan on the farm. Besides these, we have under our management 2 stallions in Kenya, one in Zimbabwe, one at Bosworth Farm in Gauteng, and Albarahin at Invermooi. The Rulers of Dubai own nine of them. Q : How many broodmares do you run on the farm and who would you consider to be your foundation mare? A : There are roughly 320 broodmares at Summerhill and the farm has an interest, mainly in partnerships, in about 180 of those. The foundation mare in the Summerhill/Hartford story is undoubtedly Preston Pan, from whom have descended such as Magic Mirror, Amaze, Cosmonaut, Alyssum, Panjandrum, Flying Promise, Alhambra, etc. As far as Summerhill is concerned, we’ve had to rely on a broader spectrum of foundation families, including Majority Blue, Coconut Ice, Her Highness, Final Wonder, Garden Verse, Up The Creek, Ellinore etc (all raced by us), all of whom have produced multiple Stakes winners, while the families that produced Icy Air and Amphitheatre, Pick Six and Bridal Paths, Angus and Dignify are others on which we’ve built some solid foundations. 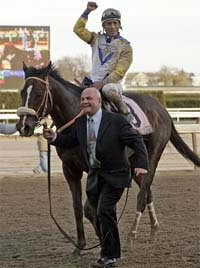 Q : Who would you consider the top 5 horses that SUMMERHILL has produced? A : We’ve never fallen into the trap of deciding who our top horses are. You’re only as good as your last race in this game, and the most recent big one for us was Imbongi’s win in the Gauteng Guineas the other day. Watch out this Saturday though, for Emperor Napoleon; he could be the newest Group One winner off the property, if he take the spoils in the Horse Chestnut. Q: What staff compliment does it take to run your stud farm? A : When we came to Summerhill, there were only six people here, yet last Christmas we paid over 360 bonuses. However, that includes people employed in the hotel, Hartford House, as well as Vuma Feeds. The government has placed a great emphasis on the tourism industry as an employment generator, and because we’re involved in the luxury end of it, we know how good it is, but in the end there’s nothing like horses for creating employment. I’ve mentioned this to ministers in government several times, and they’re always pleased to hear it. There is roughly one employee for every three horses at Summerhill, and we have long been among our district’s biggest employers, which is something of a responsibility. Q : What is your philosophy on breeding horses? A : Breeding racehorses is essentially about producing an athlete. It’s not just about the most fashionable stallion and the best mare your money can buy, it’s also about matching the right attributes and trying to produce a durable, reliable, talented runner. However, unless you raise the horse properly in as natural an environment as possible, using the best people you can find and the finest nutrition, and give the horse every chance to be what its genetic potential promises, no money in the world will make you consistently successful. We never had the money to seriously compete at a genetic level in this business, so we had to find other means of making ourselves competitive, and these included lifting our skills levels through international scholarships for our Zulu staff (we’re on our 32nd one now), switching our farming practices from a conventional approach to one embracing organics (our horses are, to our knowledge, the only truly organically produced racehorses in the world,) feeding them under the same philosophy, and providing them with an environment in which they might develop all the natural attributes they were born with. Q : Your farm stands some of Sheikh Hamdan Al Maktoum’s stallions. How did this arrangement evolve? A : The relationship with the Ruling Family in Dubai is unique, and was another pillar on which our business was built. Because we never had the money to acquire the best in genetics, linking ourselves with them has done this to a significant degree as well as providing opportunities for our staff to be educated abroad in the United States, the UK and Ireland. Other than on their own farms in these countries, they do not have horses on any scale anywhere else, yet 12 kms outside the dustiest little dorp in the Midlands, the family has collectively close to a 100 horses at Summerhill. What they’re doing at the southernmost tip of what the civilized world calls the darkest continent, we’ve no idea, but it’s a treasured relationship which has been invaluable not only to Summerhill, but obviously to South Africa. Q : Who do you feel are your choice lots coming up at this weekend’s National Sale? A : We’d be loathe to choose any particular individual in our draft for the National Sales, other than to say that this is one of the better crops that have left Summerhill, and we hope they represent decent investments for those with a taste for something different. Q : Many of your yearlings have Zulu names. What is the thinking behind this? A : Naming many of our horses with Zulu names is merely an extension of our decision to develop the quintessential African thoroughbred. We realized about 14 years ago that we should stop attempting to mimic overseas practices in the raising of our horses, and that we should start using the great benefits of our own environment and our own people in order to create a horse we could all be proud of. Thankfully, we’ve made some progress in this department, and we think it’s appropriate that these horses should carry names that have a local association as well. Q : To what would you attribute the rise of SUMMERHILL into the country’s Champion Breeder over the past two seasons? A : I think I’ve dealt with how we came to be the Champion Breeders, and this was a singular honour for us as there’ve only been six farms in recorded history to achieve this. It’s the tightest held Breeder’s Championship in the world, and we were the first on this side of the Drakensberg to manage it (there’ve been three in a row, not two!). Our championships have been the sum of all the things we mentioned earlier, and we owe everything to the people that have worked here over the almost 30 years we’ve been in business. It’s taken us that long to assemble one of the best teams in the game, and our people have made massive sacrifices during the lean years in order to get us there. If you look at the Long Service Awards board in the Summerhill boardroom, you’ll find more than 75 employees who have served more than 10 years in our employ, and that’s a patrimony you should never squander. It’s invaluable in any business to have the collective benefit of such a depth of experience, coupled with the energy of youth, and we’re lucky to have so many young people seeking employment here as well. Q : Tell us about your involvement with your horse feed company called VUMA? A : Vuma started out because we felt the nutritional industry in South Africa was not doing our horses justice. The founding principle came from a realization of the central role which good nutrition plays in the development of a good horse, and we went abroad and harnessed the best technology available. 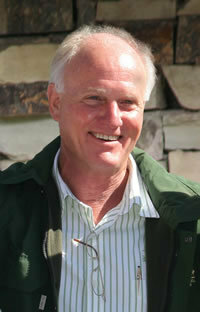 Through our international associations, we’ve developed a range of feeds which are as good as any in the world right now, and it’s a well known fact that it has not only been a critical ingredient in Summerhill’s success, but it has assisted in propelling many of the nation’s top trainers to the top of the log. We now feed horses in various domains around the world. Q : What do you consider are the most valuable lessons you have learnt about breeding thus far? A : We’ve learnt thousands of lessons about breeding since we started, mainly by bumping our heads, and often enough, through circumstances of desperation. However, fundamental to breeding horses is the realization that it’s a long game, and it’s the accumulated wisdom that comes from the fact that there is no single facet of the business which stands alone in producing a good horse. In our case, because we never had the funds as we’ve said, to acquire the best genetics or to provide extravagant facilities, we had to think out of the box almost all of the time, and as a result, Summerhill’s innovation has made it an international leader in a number of spheres. In the end, though, it is the understanding that a racehorse is as natural a creature as any and that it still has the instincts of an animal in the wilds, and getting inside its head and developing a familiarity with its ways, is critical to providing it with its needs. Q : Which SUMMERHILL bred horses do you think will excel at this weekend’s Classic day at Turffontein? A : We’d be looking to Imbongi in the Classic, and Emperor Napoleon, Pick Six, Catmandu, Dynamite Mike and Fork Lightening (that’s 5 out of 13 runners in a Grade One!) in the Horse Chestnut to run big races on Saturday. There are numbers of other Summerhill horses engaged at the meeting with chances, but these ones obviously stand out. 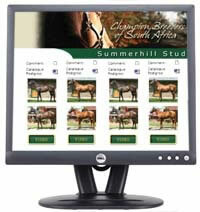 Q : If you could have any stallion in the world standing at SUMMERHILL, which would it be? A : If Danehill were still alive, I would unhesitatingly nominate him as the stallion we’d like to have here. He’s the most versatile stallion in history, being the only horse to have won championships in the northern and southern hemispheres, and his influence is pervasive. In time, he could be as important a factor as Northern Dancer, but to the extent that his horses also excel in the south, our prediction is that, given the time, his world-wide influence could be even greater, especially as he and his sons are compatible with the Northern Dancers as a tribe. That said, he’s not around anymore, and if we were looking for a young horse on the up, we’d probably go for one less obvious than most, and that would be Street Cry (by Machiavellian), who has 12 Graded Stakes winners from his first crop including last year’s Kentucky Derby winner, as his horses perform on both the dirt of America and on the turf in Europe. He has the physique, the pedigree and the versatility to be successful in both hemispheres, and he could be the first really serious global stallion in the Maktoum armoury. We have three sons of Machiavellian on our roster, as we’ve identified him as the most valuable scion of the Mr. Prospector line for South Africa, and Kahal has already proven the value of this. Mullins Bay is another son of Machiavellian entering our service this year, and we’ve just acquired our third son of Danehill in Stronghold. 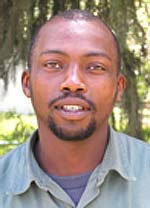 Thembinkosi Nxumalo A fellow who obviously understands his international breeding is Thembinkosi Nxumalo (otherwise known as “T.K”). A long-serving member of our Ready To Run riders. He’s gone for the son of Europe’s number one young stallion, Galileo, Lot 364 Sgidi (which is a “million” in Zulu), whom the TBA’s selection panel found good enough as a physical specimen to award him 9 points (out of a possible 10). That’s as close to perfection as they come, and this colt, whose sire stands for something approaching $200 000 (+- R2.4 million) is out of a daughter of last season’s Champion Australian sire, Flying Spur. There’s an Australian Oaks and Guineas winner in this pedigree, and this chap, who walks just like the Galileo’s we know, will have a stream of admirers once they’ve had a chance to look at him. Well done T.K. for picking this one up. His choice of the fillies was replicated earlier by Patrick Molefe (Lot 98 Zwelonke), so while we did say she wasn’t the “obvious” pick on paper, she’s obviously caught the eye of those who work with her. 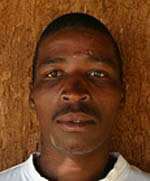 Finally, we get to Zukile Mangaliso, who was entirely original in both is picks. He went for Mongameli (Lot 129), an outstanding son of Royal Academy, who has unfortunately had to be withdrawn at the last moment on account of a spiked temperature which rendered him unable to travel. Don’t despair, this beautifully bred animal from one of Australia’s top families will be available at the Ready To Run, so all is not lost. On the distaff side, Zukile has shown his discernment in choosing Hypatia (Lot 286) a stunning daughter of the present leader of a powerful group of Freshman sires, Labeeb, out of the Stakes winning mare Winning Glory. That makes her a sister to last year’s East Cape Horse Of the Year, Hear The Drums (now a fifteen-time winner of not far short of a R1 million) from the distinguished international family of multiple Group One winner and sire, Procida (representing one of the world’s great farms, the Niarchos family’s Haras Fresnaye le Buffard, once the nursery of the most famous of all French breeders, Marcel Boussac). You’d not be surprised to see another top horse from this family, and there is one in the form of Slickly, the Champion Older Miler in Europe in 2001. Zukile knew nothing of this pedigree when he made his pick, but he certainly identified an individual who could stand her ground in any beauty contest anywhere. Patrick MolefeBy the time this report is posted, we’ll be just a week away from the commencement of the Emperor’s Palace National Yearling Sales, and there’s increasing activity at the TBA’s sales complex in the vicinity of the old Gosforth Park racecourse. Another third generation member of our farm staff, Patrick Molefe, has put his finger on Lot 155, Mbovana (“the Red One”) who represents a classic Summerhill breeding, insofar as the first three generations of his pedigree comprise stallions that’ve stood their careers at Summerhill, while his third dam, Coconut Ice, was a stalwart of the foundation stock of the Goss family when they first came to Summerhill. In fact, Coconut Ice was the very first horse to be boarded at Summerhill under its previous proprietors and one of her best descendants, Real Red, is the dam of this particular colt by Malhub, one of the world’s top sprinters of 2002. Malhub’s gotten off to an exceptional start with his first crop in South Africa, and is bound to be rivalling his erstwhile stallion barn stablemate, Labeeb, when the chequered flag comes out at the end of the season for Freshman Sires’ honours. This is a sturdy fellow with a big walk, who probably resembles more his maternal grandsire, Muhtafal, than he does his own sire. Spamandla Mthethwa Patrick’s choice of the fillies is Lot 98 (Zwelonke) a good looking filly from the family of recent Emperor’s Palace Ready To Run Cup victor, Umngazi, by the sire of this past weekend’s run-away winner of the East Cape Nursery, Scripture (by Requiem). Quizzed about his choice, Patrick volunteered that this family has speed to burn, and he pointed to the recent form of the half-brother Fox Hunt, who’s picked up two more since the catalogue was printed for world-class judge, Robin Bruss. This is a slightly off-beat choice, as Zwelonkhe is not the obvious one, but she’ll make excellent value to a discerning buyer who is not looking to break the sale’s record in order to acquire a quality horse. 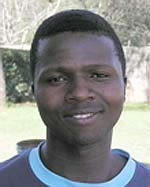 It’s amazing how many of our staff come from old, established families, and Spamandla Mthethwa is no exception. His grandmother has a barn named after her on this farm for the example she set for the many people that work here, and he’s a member of our farrier team. In his choices though, he was not entirely original, as he followed four others in selecting Lot 32 (Nhlavini’s brother) Keep Striding, and six grooms in all going for Nontanda, Lostintranslation’s half sister by Al Mufti (Lot 22). Lungisani HadebeAnother colt that’s proven popular is Lot 332, Buhlebami (which means “the Nice Things About Me”), an Australian-bred son of one of America’s better stallions right now, Tale Of The Cat. This one’s got an exceptional page, including some of the best horses to emerge from Northern Dancer’s own home, Windfield’s Stud in Canada, including the European Champion, Storm Bird (sire of America’s greatest living stallion, Storm Cat), Champion French sire, Green Tune, and the Champion European filly, Pas de Response. Right up in the pedigree though is AP Warrior, a leading entry for this year’s Dubai World Cup, and so this fellow has to be on any serious connoisseur’s list. He’s the choice of Kwanele Skhosana and Lungisani Hadebe. Kwanele’s pick of the fillies is Khebraat’s own sister, Amanah (Lot 508), a lovely scopey individual with plenty of class and a couple of serious racehorses on her page. This is pure Shadwell Stud breeding (the bastion of Sheikh Hamdan’s international breeding operations), and lets not forget, Khebraat beat no less than Gomma Gomma hero, Pick Six and Guineas place-getter, Surfin’ USA, in last year’s edition of the KZN Breeders 1600, before his untimely death. Khebraat was never out of the money in his all-too-brief career, and Kwanele might just have something here.